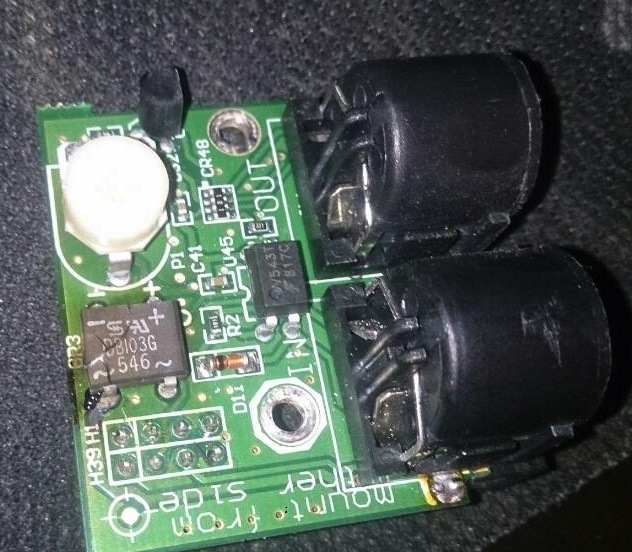 after i connected the DC to my audio interface it started to smell burned, so I opened it up and found that this part was burned. I'm looking for the part and see if I can replace it myself. The original part is tiny and the one you found is huge and might not fit. I recommend finding a short circuit or something that caused the original part to burn, FIRST. I think I know what caused it to burn, it was a faulty AC adapter. Because that burned too. What else could have caused it? Nothing else seems burned or broken on the circuit. But I'f im going to search for a short circuit, is there a guide somewhere on how to do it? I guess I will use my multimeter for it? And the part is not that tiny, its like 10x7mm i think.